Having a little girl who will soon be turning ONE, means that a lot of her new friends are also turning ONE - many upcoming birthday parties! So many parties equals a lot of gifts. If you have been following me for a while, you already know that my gifting philosophy is less about STUFF and more about creative, thoughtful gestures. I had previously spotted this lovely "wishes for baby" card created by Lauren Makes (intended for a baby shower) and I decided to design something similar for first birthdays to use as gifts. 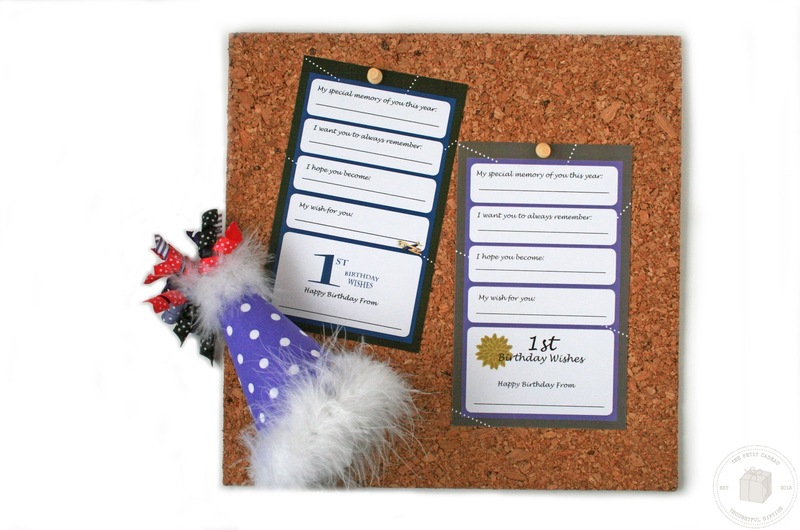 Here's how to use the First Birthday Wishes Printables. (+) Try to find out in advance approximately how many people will be at the birthday party. 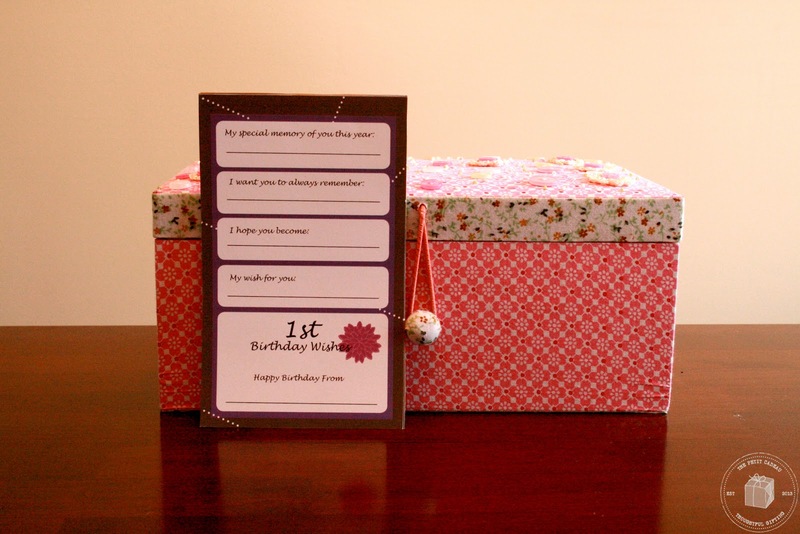 (+) Have everyone at the party fill out a birthday wishes card - all of the "birthday wishes" can be kept inside the box for the birthday boy or girl to treasure for a lifetime! You can download the first birthday wishes card (blue + airplane version) here. 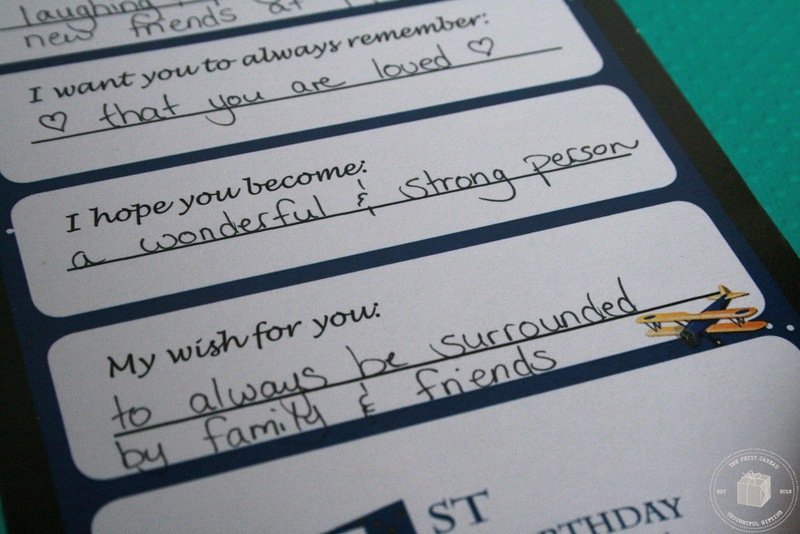 You can download the first birthday wishes card (purple + flowers version) here. Printable files are for personal use only. Please do not distribute the printable file. I am happy to have you blog about this post, or use photos from this post, but please only do so with proper credit and a link back to this site & post. Awww these are such a sweet idea!! I love it! Glad you like them! Would love to see photos from any readers who have used them at a party!